Absolutely stunning Townhome style living in the pretigous Bristlecove at Tallgrass. This beautiful home is loaded with fine finishes and quality upgrades. You will love the spacious open floor plan with two-story vaulted ceiling and flooded with natural light. The gourmet kitchen is amazing with slab granite counters, upgraded stainless steel appliances, custom tile back-splash, tile floors, and a convenient pantry. The perfectly situated dining area is just the right size for the family or entertaining. The large family room is amazing with a cozy gas fireplace, art niche and gorgeous extended wide plank wood floors. The upper level is incredible in this double master floor plan. The luxurious master suite features a 5 piece master bathroom with upgrades galore and a huge walk-in closet. The second suite features a private full bathroom. No winter parking here...enjoy the over-sized 2 car garage with custom storage shelving. 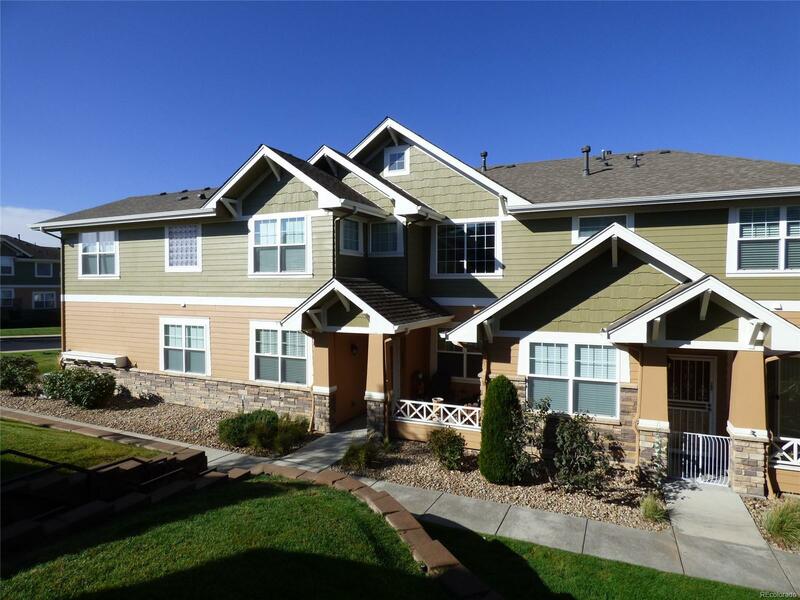 Convenient to DIA, E470, Cherry Creek Schools and more!